In the early days of Spigot Design, Flash based websites were all the rage. We’ve long since learned new tricks, and as a result have pretty much dropped Flash based work all together. Not a lot has been written on why we’ve given it up, so perhaps it’s time (although here’s an early tidbit from the Park Record). While Flash still has an important role to play on the internet, our focus has shifted. It no longer fits our design sense (and never really did) and it doesn’t fit with how most of our clients need to use the web. At our CSA end-of-season pot luck dinner last week, a conversation was struck with a fellow member. He and his wife had pulled up stakes from their corporate life and moved to Park City for a more relaxed lifestyle and to pursue a new business venture. His wife is considered an expert in her field, and they developed a solid plan on how to bring that expertise to a web-based business model. He explained the long site development process – over a year of thought and effort to get system just right. A large portion of that time was spent in designing how the site should function, perfecting the navigation, and streamlining the overall user experience. It took a team of 6 a little over a year, and the site was launched last April. The process went very smooth, and they are very happy with the results. The only problem, he said, has been the lack of satisfactory search rankings – and the resulting lack of business. Since the site had been launched only 4 months before, I reassured him that it was probably only a matter of time before their search position picked up. High rankings do not happen overnight, after all. His concerns that too much of the site sits behind a members-only wall that the search engines can’t see should be mitigated by the fact that they have a regularly updated blog. Which should give ample opportunity to tickle the search engines fancy. I asked him if the development firm had talked much about the coding process, or how it related to search engine friendliness. He couldn’t recall a conversation along those lines, but I still just brushed it off and reassured him that it was probably just an oversight. I told him I’d take a look at the site and let him know what I thought. You can probably guess where this is going – Yes, the entire site was built within Flash. From the home page to the membership pages to the blog, it’s all Flash. There are bits and pieces of straight (search engine loving) html in there, but it’s too far and too few between to matter. Throw in the fact that there’s no doctype, limited metadata, the page titles are the same on every page, and the result is there is little for the search engines to see. 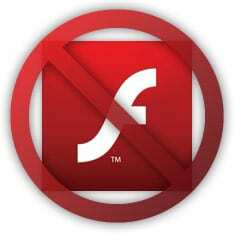 Search engines still cannot see what’s inside a Flash based site. Technically speaking this means they cannot index this site. (Google is making attempts at better Flash indexing, but there are still best practices that need to be followed. From our experience, most Flash sites don’t follow them). So they don’t know what’s there. So they can’t point anyone to this site who may be really interested in what they have to say (sell). The business model they have is solid. The website they’ve staked that model on, unfortunately, is not. Without a large and sustained marketing effort it’s likely that the site will never achieve results they are hoping for. All the time, effort, and capital, are potentially wasted. So what’s a business owner to do in this situation? Keep forging ahead with the mentality that you’ve come this far, might as well just keep at it? Or do you cut you’re losses and start over, with the hope that this time it’ll be done right? There are others out there who will tell you that we’re full of it – that a Flash based site can be just as effective as html. Don’t buy it. For this couple there is no easy answer. I can’t say for certain that starting over is the right choice. It would have been better to have never gone down that path in the first place. Right there you’ll find your best bet – be as sure as you can that you’re making the right choices in the first place. Ask lots of questions – to at least 3 or 4 developers. Be certain that they understand your business and what you are trying to accomplish. Then choose the the one who understands the web – or more importantly the business of the web – and sleep well with the security that you’re in good hands.